It is always exciting to look at new vehicle redesigns that come out year after year. 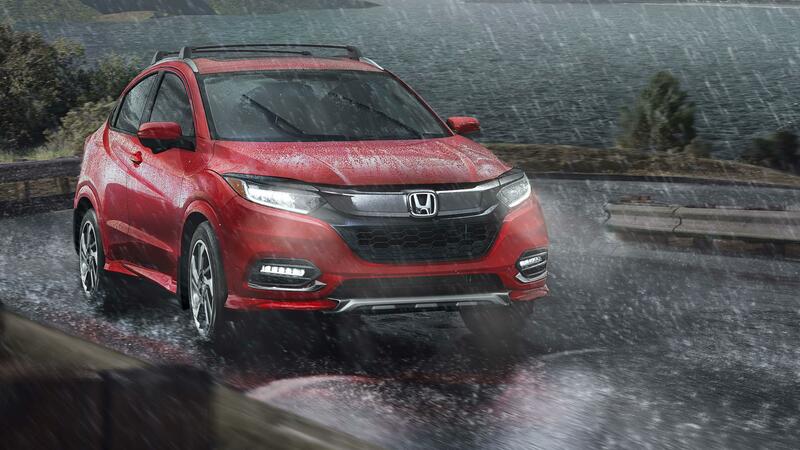 The 2019 Honda HR-V redesign does not disappoint and will be a healthy competitor in the market. The HR-V was released in 2015 and has been a great vehicle in the few years it has been out but, now it gets the redesign that it deserves. Starting with the exterior there are noticeable changes which are not subtle at all. The front bumper has a completely new look! New headlights including LED on the Touring trim. The regular halogen projection headlights have been improved to give you better visibility on the roads at night. New thin strip led fog lights. Also, a honeycomb shaped grill with a chrome strip up top. One interesting fact about the chrome strip is that the Honda Sensing sensor is hidden behind it! Yes, that means that the new HR-V comes with Honda Sensing! Honda Sensing will be available on EX models and up which is a huge added benefit to the driver. Also, they have the second sensor in the windshield like other models. There are new wheels that you can find on the HR-V which are updates from the prior model. The Touring model gets some stylish 5 spokes that are a seventeen in wheel. The rear bumper also has a new refreshed look which is very sleek and makes the vehicle look very good. Moving inside the vehicle there are some things that are still there that you know and love. Magic Seating is still there and works the same as before. There is eight feet of room with the magic seating! The HR-V has the same 1.8L engine that was found in the previous years. There however are some changes to the CVT transmission and the AWD system. The CVT transmission has improved to give you better acceleration and the AWD system has some advancements as well. 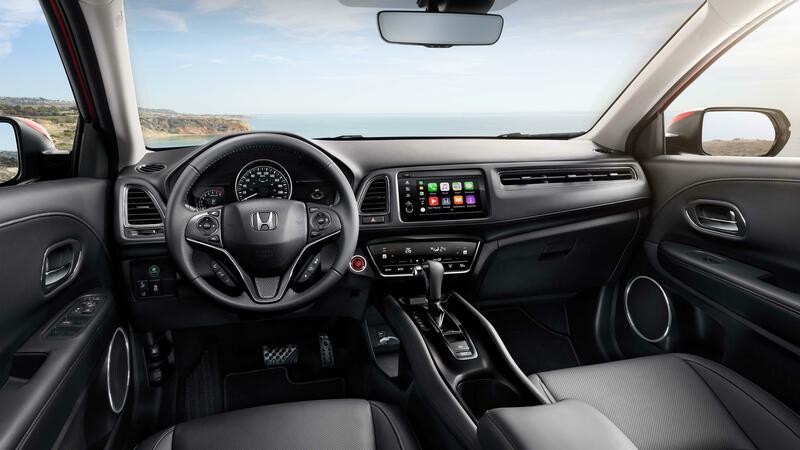 New technology is a big deal with the 2019 HR-V. Customizable door locks have now been added. That means you can control how your locks work with your keyless entry! Another new feature you will be excited to hear about is the addition on power driver seat! The gauges on the dash have been redesigned as well. The center console looks similar but has significant changes to make it more functional. The center console has the same system that is found in the Civic and CR-V and it does have Apple Car Play and Android Auto which is amazing to see. There is two USB’s that you can find in the vehicle upfront as well as redesigned cup holders. This model will be seen on the road more often with the changing consumer demands. 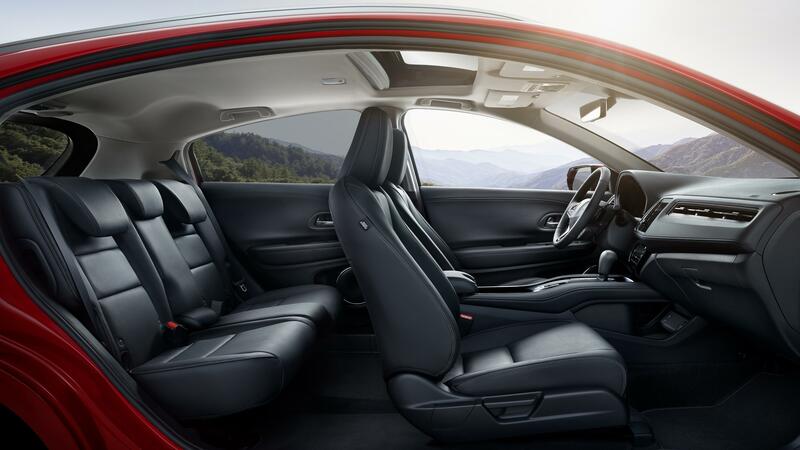 It is a great mix of space but also has fuel economy in mind. That concludes our blog post on what is new in the 2019 HR-V! Make sure to check out one in person and take one on a test drive at Royal Honda in Yorkton, Saskatchewan, Canada. If you have any questions, you can contact us here or reach out to us on Instagram or Facebook. *Special thanks to Honda.ca for the photos!